No list of this sort would be complete without a nod to Area 51. The secret military base about 75 miles (120 km) northwest of Las Vegas has been fodder for many a tale  which is only natural, considering the rumors of secret alien experiments carried out there. 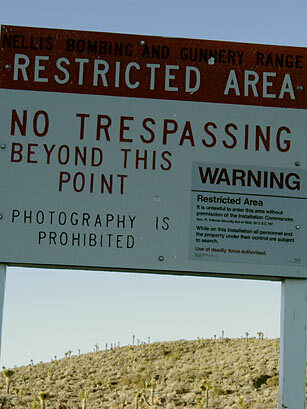 But when CIA veterans who are finally relieved of their secrecy vows recount their time at Area 51, they make clear that extraterrestrials are not a part of the job. What they have said is that in the 1960s, the site was the testing ground for spy planes like the A-12 and its record-breaking speedy successor the SR-71 Blackbird. A group of people called Roadrunners, who count themselves among those who have worked at Area 51, recall that they were paid either in cash or by checks issued from seemingly unrelated companies like Pan American World Airways. The base likely still tests super-top-secret planes and weapons systems, which is why it continues to be shrouded in mystery. But we can all go on pretending there are recovered bodies of aliens stored there, like the ones depicted in the popular film Independence Day. It's more fun that way. Read "Listening for Aliens: What Would E.T. Do?" Next UFOs in the U.S.S.R.